After nearly four years of activity, the Copyright Alert System has been shut down. Pirates can breathe a little easier in the knowledge they no longer have to ignore warnings from their Internet service provider (ISP). The Copyright Alert System (CAS) is officially over, according to the program’s managing group the Center for Copyright Information (CCI). The CAS was an anti-piracy partnership between the Motion Picture Association of America, the Recording Industry Association of America, and their partner ISPs. “After four years of extensive consumer education and engagement, the Copyright Alert System will conclude its work,” the CCI said in a written statement. We first met the CAS in 2011, but it wasn’t officially implemented until 2013. Also known as the six strikes plan, the CAS was a cooperative movement by the entertainment industry’s big guns and some ISPs to curtail piracy. As part of the program, copyright holders would monitor peer-to-peer networks for piracy. When they found a pirate the content owners would alert the relevant ISP. 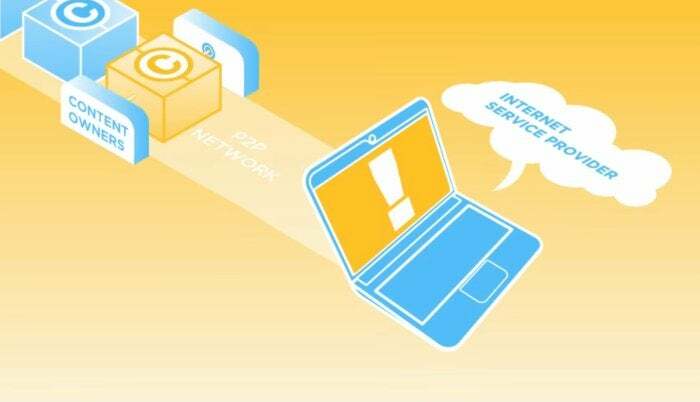 The ISP would then send a warning to the Internet subscriber suspected of pirating copyrighted content. There were six warnings in total and their requirements would vary by ISP. Generally, however, they escalated from a mild warning to a requirement that you acknowledge the mild warning, sometimes by viewing anti-piracy material. These two stages—warnings 1 through 4—were known as educational and acknowledgment alerts. Stages 5 and 6 were mitigation alerts that could mean Internet speed throttling, requiring subscribers to contact their ISP, or perhaps viewing some more anti-piracy educational material online. The impact on you at home: It’s not clear what will replace the CAS as the entertainment industry is still interested in reducing piracy, though the rise of streaming services has curtailed illegal downloads in recent years. It doesn’t appear we’ll see a big push to start suing pirates again. Instead, the CCI said the groups behind the CAS “remain committed to voluntary and cooperative efforts to address these issues.” That said, the MPAA representative told Variety that repeat infringers need to be dealt with by each ISP's repeat infringer policy as part of the Digital Millennium Copyright Act—a policy that can include termination of a user’s account.